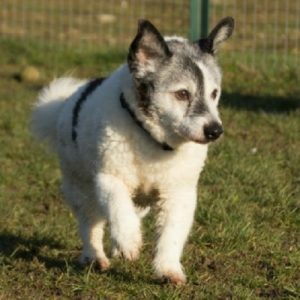 23/03/19 – Eric has has found a home! Good luck lovely boy! 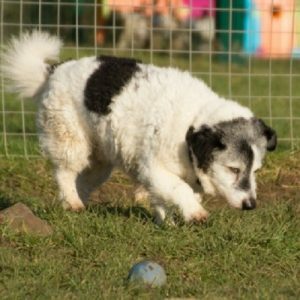 Eric is a 14 year young Jack Russell Terrier cross who has stolen everyone’s heart at Danaher Animal Home in Essex. He’s currently enjoying the home comforts of foster care, waiting for his forever human to find him. Although he’s not quite as young as he used to be, no one seems to have told him that! He’s the happiest chappy ever. 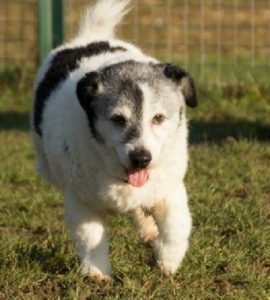 He loves attention and, despite his sometimes stiff legs, loves to have a little run around. He doesn’t need long walks but would love a garden for when the urge to have a quick zoom takes him. More than anything though, he wants cuddles and scratches. He could live with dogs and children provided he can have the peace and quiet he sometimes needs. 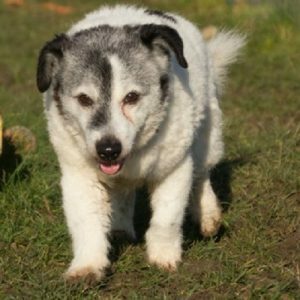 Eric is a bit arthritic so his exercise needs monitoring and he does need painkillers. He has an irregular heart rate that appears not to cause him any problems. This is currently under investigation. Any prospective adopter will need to discuss this further with the rescue’s staff. His cuteness, though, needs no investigation. He just is! 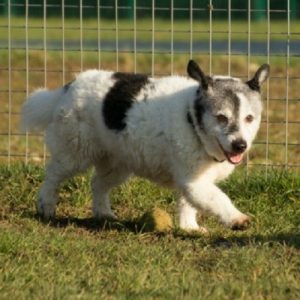 Please say you saw Eric on the Oldies Club website.